Now there is an entirely new way to keep every surface clean and sealed while saving time doing it. One cleaner. One sealer. One bathroom. Prevents water dots from etching the shower glass. Can be used on all stone, tile, grout and fixtures. Maintain showers, tubs, vanities and more. Maintain our Sentura and Caponi sealers. 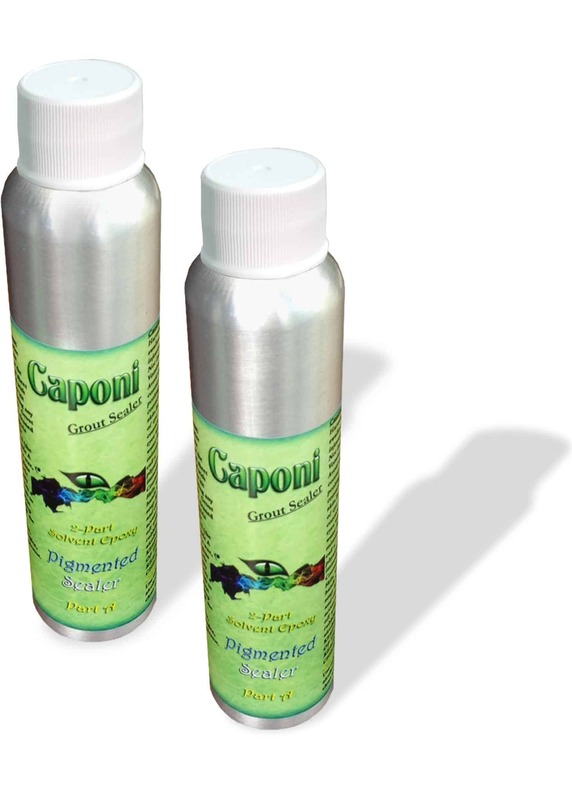 Caponi is the pigmented grout sealing system that has over 1200psi adhesion and shower approved. Built on a rock-solid 2-part solvent titanium resin-epoxy foundation, it’s engineered to adhere and cover all grout (sanded, non-sanded and epoxy grout) in one coat. 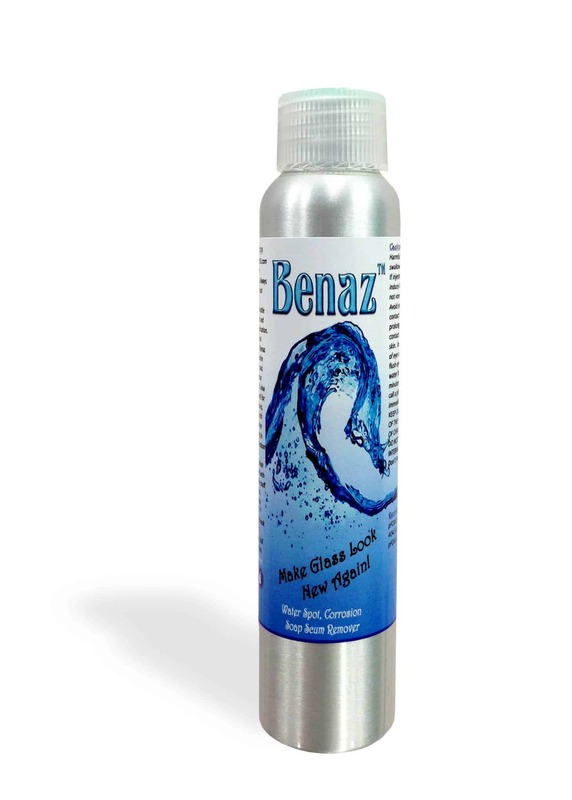 Benaz - the best shower glass cleaner effectively removes hard water dots or spots, lime scale, mineral stains, rust, overspray, mold & mildew and soap scum with ease. Benaz will remove all stage one water spots and will not scratch the surface. Benaz will make the surface look new again no matter how damaged it is from corrosion, soap scum and etched water dots/spots. Benaz comes with a white non-scratch pad that will make the job very easy. NO TOOLS NEEDED!!!! 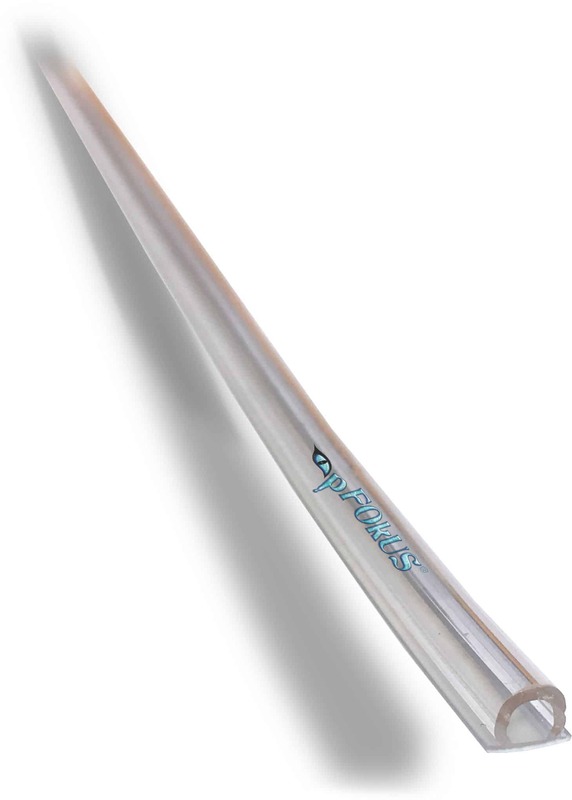 Our DS9372 frameless shower door sweeps are the most popular glass shower door sweep. It is made of quality polycarbonate and vinyl. 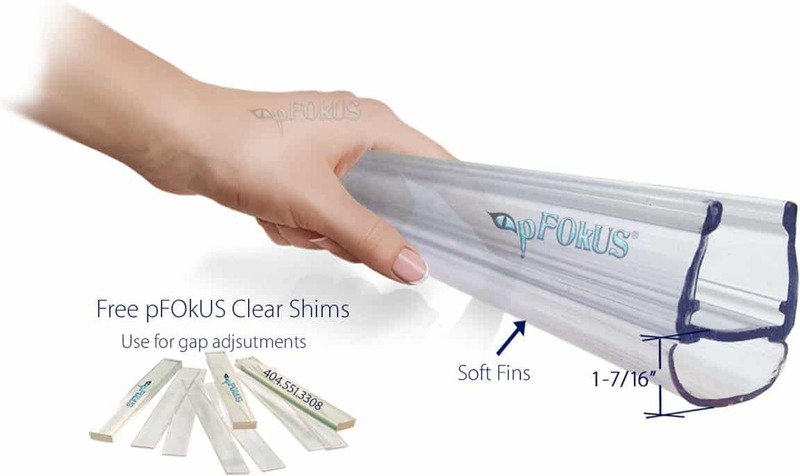 The dual soft fins are vinyl and they are engineered to wipe all the water off the curb back into the shower every time the door is open. The sweep and drip rail are made of clear rigid polycarbonate and deflect the water away from the glass shower door. VALORE, with Repela-Technology, seals and cleans at the same time. 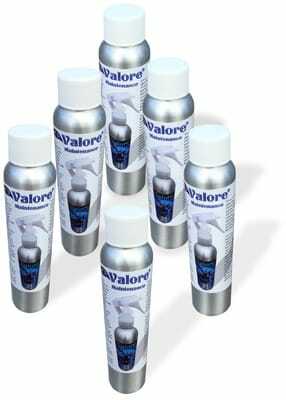 Valore bonds to all fixtures, glass, granite and much more. It is not a deep cleaner, but Valore will maintain and keep surfaces sparkling clean. Valore repels both water (hydrophilic) and oils (oleophilic) in a sheeting style not a beading style. 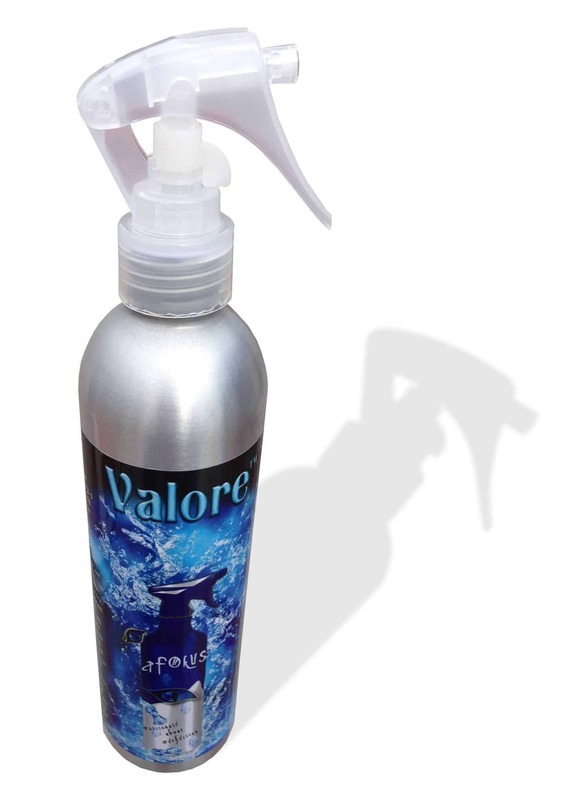 Valore is a molecular bonding agent that prevents water dots, corrosion, and liquid soap scum from etching the surface. Plus, Valore has hydrogen peroxide in it to aide in killing mold and mildew. 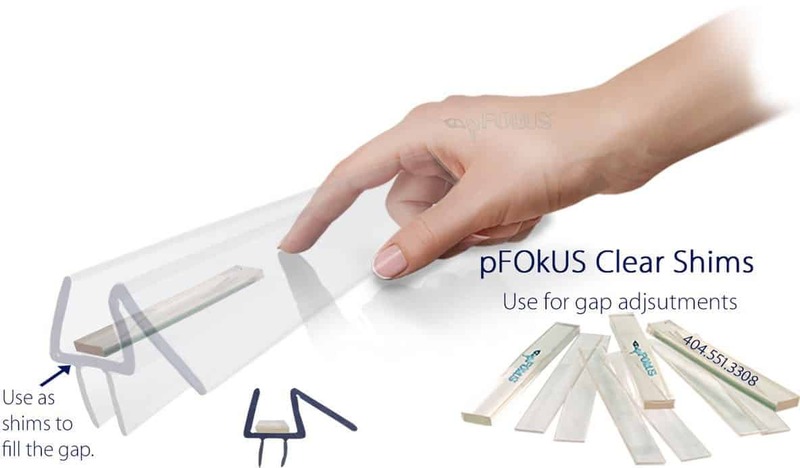 We are the only company in the world to manufacture the extra long sweep for all the glass shower doors with large gaps. The DS9371-1 frameless shower door sweeps are our most popular sweep among glass technicians and homeowners who have a door that was improperly installed. 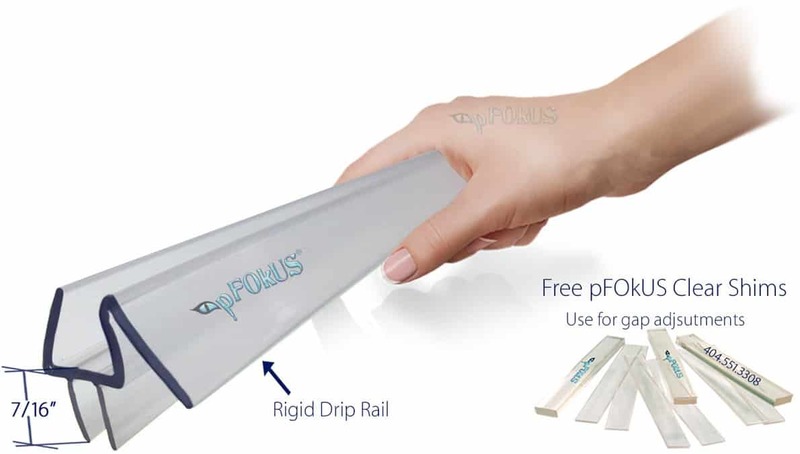 DS102 frameless shower door sweeps are made of polycarbonate formed into a 'U' shape with a half round seal ideal for use with hydroslide & other sliding systems. This seal is easily pushed on the glass and can be used on a frameless glass shower door to prevent water from escaping or used on glass sliders where the glass shower door meets the wall or glass panel to the glass door. 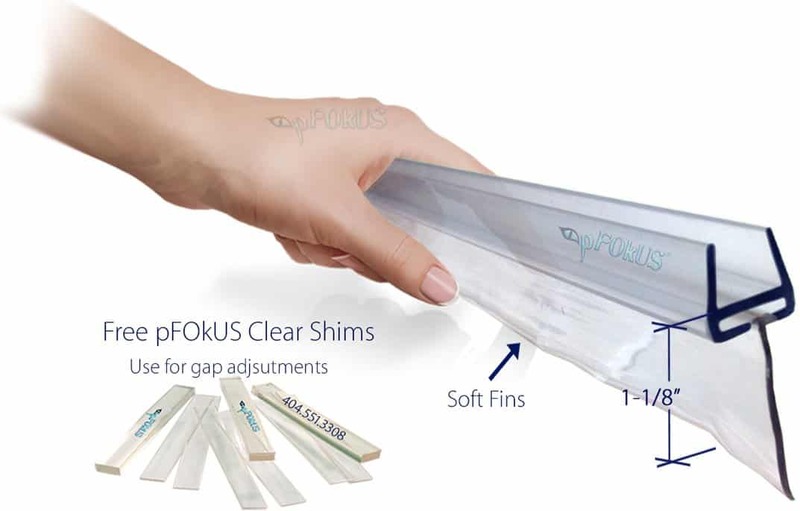 DS99 Frameless shower door sweeps are crystal clear made of quality polycarbonate. 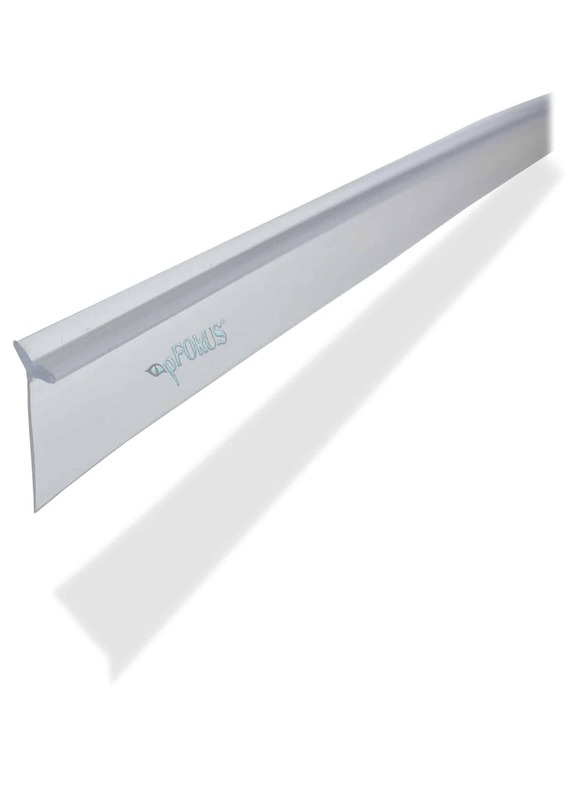 Ideal for use with sweeps and seals that need height extensions or gap closure. The standard length is 2" (inches) and comes 1/32" & 1/4" wide. Adheres to the glass with our DS200 double sided tape sold separate or we carry a pre-taped seal for easy installation. The T-shape is also used as a replacement seal for our DS9371.